Jemia Fournier, Luke Air Force Base Bryant Fitness Center sports specialist, closes the last few feet of her lap before tapping-in her sprinting partner, Shawn Barkhaus, fitness center maintenance team member, during the relay race portion of the squadron PT challenge Feb. 5 at Luke Air Force Base. The Marine Corps 6th Engineer Support Battalion answered the fitness center’s call for a first challenger and edged out a victory. The Luke Air Force Base Bryant Fitness Center hosted the first squadron physical test challenge Feb. 5 where Luke Thunderbolts faced off against a team of Marines. Staff members, maintainers and regularly visiting Airmen from the Bryant Fitness Center formed the core of the Air Force team which faced off against a group of Marines from the 6th Engineer Support Battalion in a series of physical challenges. 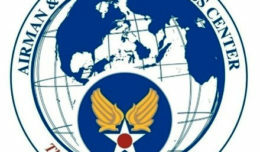 The challenges were designed to imitate the various PT tests of the different branches. Barkhaus pumps out a few more pushups before time runs out in an attempt to beat his Marine opponent during the challenge. Teams from different squadrons or units compete at the fitness center’s PT squadron challenges in a variety of PT-related exercises. The challenge included pushups, sit-ups and a one-lap relay race on the base track. 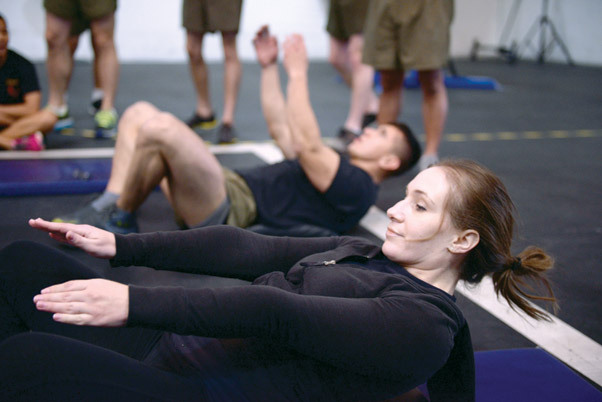 “I chose to structure the challenge based on the Air Force fitness assessment, because the Marines didn’t know what it was,” said Sherri Biringer, 56th FSS fitness center fitness specialist supervisor. Although the Marines came out on top and won the challenge, the Air Force team fought to a close finish and is confident their successors may best the current victors, especially with even numbers and a deeper pool of contestants from which to draw. Jemia Fournier, fitness center sport specialist, competes against a Marine to complete the most sit-ups during the squadron the challenge. 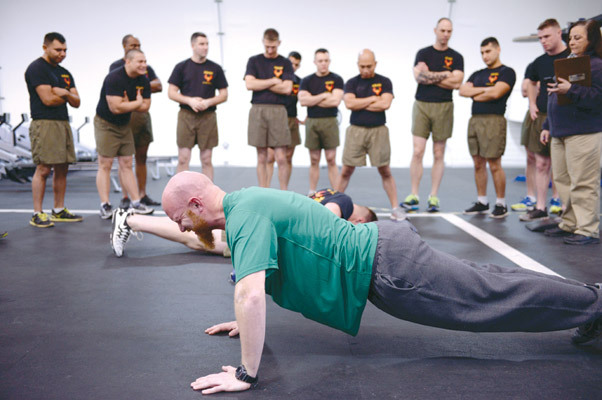 Teams competed during the event by rotating through members to complete a series of exercises in the fastest time. 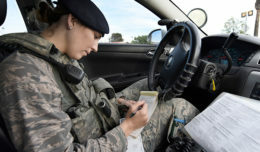 Biringer hopes all of the base’s squadrons will answer the call and take up the challenge this year as it progresses to prove who is truly the fittest at Luke in 2016. To participate in the competition, call Biringer at the Combat PT Center at 623-856-2291. Sherri Biringer, fitness center fitness specialist supervisor, presents the squadron PT challenge trophy to Marine Sgt. Jorge Castellares, 6th ESB in the Combat PT Center. 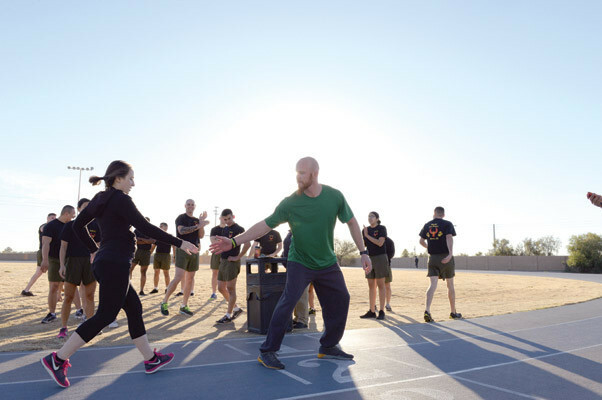 The trophy enables the Marine detachment to call out or accept any challenge from any Air Force squadron to a squadron PT challenge.